Since 2000, Hinduwebsite.com has gained a unique reputation on the Internet as the most authoritative website on Hinduism, Buddhism and related religions. Millions of visitors regularly visit our website, and benefit from the writings we have provided. Many colleges and universities in various parts of the world use our information in their curriculum and religious studies. We do not specially promote any sect, school of philosophy, institution, guru or teacher tradition. Our focus is mainstream Hinduism as found in the scriptures and as best understood by us. Hinduwebsite.com is also the first website on the Internet to provide information on the composite socio-religious culture of the Indian subcontinent covering all religions that originated in India, besides Zoroastrianism, which is closely linked to its history and antiquity. Many websites have come afterwards, but we still maintain our unique status. Our books also represent the same quality and vision with which we have served you all these years. Just like Hinduwebsite.com, Hinduwebsite Books are unique and one of their kind. They have been written with the specific purpose of providing quality information on the selected topics. Each book is carefully written to provide valuable insights and intuitive knowledge of the subject matter chosen. They are a good choice to cultivate knowledge and insight. 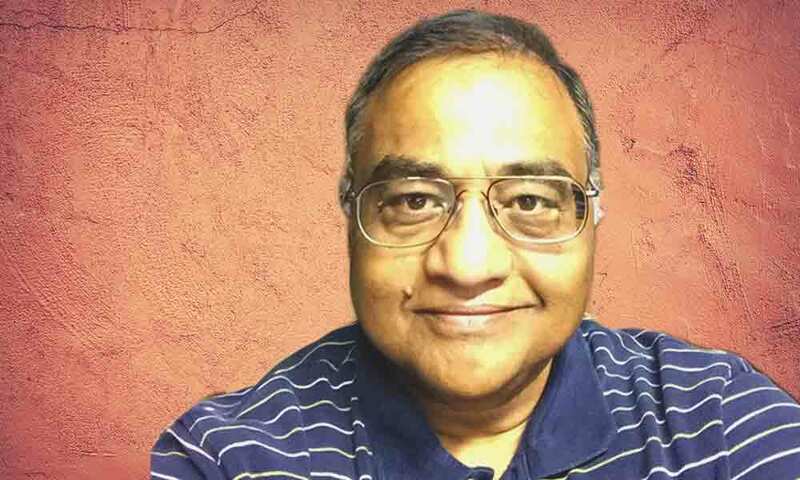 Not everyone can write about the sociocultural and religious aspects of India, with specific reference to Hinduism, Buddhism and spirituality with such directness and simplicity as Jayaram V.
He has the gift of gods to see things from a unique perspective and explain the complex philosophies in a simple manner or the hidden and forgotten meaning of important Sanskrit words and concepts. Jayaram brings to you the ageless wisdom of India in a language which you can understand and assimilate. His life mission is to bring the knowledge and wisdom of the East to the West to introduce, inform and enlighten people of diverse backgrounds and bridge the cultural gap between the past and present generations. If you live in the USA, you can buy these books directly from our online store. By doing so you will also be participating in a good karma. Please note we do not hard sell anything because we know that people have to evolve spiritually at their own pace and according to their karma. By sharing our knowledge we create an opportunity for others to learn and study. The rest is up to God and each individual.